Since the launch of “Voices under the Sun” as a blog in February 2012, I have posted 26 book reviews. Among these, 21 were written in 2016 as part of my efforts to promote book reviewing. 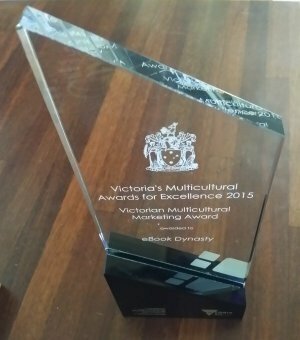 As a publisher of Chinese digital and print books that is dedicated to helping all emerging and established authors, literary agents and publishers to promote their titles in the Chinese World, I also want to do my best to support independent authors in Australia and other parts of the world. There are books I had read but were unable to complete the writing of their reviews before the end of 2016 – these are coming early this year. Of course, there were also books I had started reading but soon abandoned due to a mismatch of literary tastes. In spite of my self-perception as a genre fiction junkie, I am surprised by how much I enjoy reading non-fiction books, especially those of an auto/biographical and/or academic nature. More importantly, while the dark side of human nature continues to fascinate me, I am glad that true heroes and heroines within and outside of the fictional world can still inspire me to hope for the best. In general, half of my reading list is built on people’s reviews and recommendations on Twitter. Among the 500 or so individuals, groups and organisations that I follow across the literary, journalistic, academic and socio-political fields in Australia and overseas, there are often excellent suggestions for the next items on my to-be-read list. To me, this makes Twitter a far more diverse and attractive source of potential reading material than popular platforms such as Goodreads. i.e. If I trust you enough to follow you on Twitter, then there is a great chance that I will aspire to read the books you have read and even written. The other half of my reading list derives from what I refer to as “chance encounters” – see the list below. These include titles I literally bump into in our local library, calls for book reviewers from literary journals, items that happen to be on (huge) sale in real and online bookstores, and those independent authors, literary agents and publishers who are so kind that they let me review their front lists (and occasionally the back ones as well). The general rule here is to support independent and emerging authors with constructive criticism, while allowing myself to be a bit grouchy about the established ones. While reviewing a book, I refuse to summarise the plot and/or reveal its ending. I also avoid easy judgement such as a “like” or “four/five stars” – which, I must confess here, leads to my reluctance to post copies of my book reviews on popular platforms such as Goodreads and Amazon. It is true that I spend time to write a review for a book because I want to support its author. But the purpose of my reviews is to help you understand why the book is worth reading and how to analyse, appreciate and advocate for its beauty and strength. In other words, my book reviews are written for readers and sometimes writers as well, i.e. they are definitely not for buyers. Those who want to see stars should simply go and purchase a telescope. And, so, after all this rambling, I have signed up for the Australian Women Writers Challenge 2017. I have pledged to read and review 10 books by Australian women writers this year, but I hope I can increase the number of written book reviews to 15. Meanwhile, I will continue to review books by other authors (male and female, emerging and established, traditionally and independently published) in Australia and other parts of the world. Please feel free to contact me if you have a title in mind. Thanks for your contribution to the challenge in 2016, Christine, and great to hear you’ll be with us again for #AWW2017. I very much appreciate your articulation of how and why you review. Thanks for this post Christine which pretty much says about reviewing the way I see and do it. I have started linking my reviews on GoodReads, just last year as a regular thing though I’ve been a member for several years, but nearly every book gets a 4. If I read it I usually like it, and that’s what my 4 says. I’m not at all comfortable with fine “marking” of creative work. Hello whisperinggums, many thanks for your comment. I have linked my blog to GoodReads so my reviews eventually do get to be posted there on my page as an author. On rare occasions I also remember to re-post reviews there. :p Cheers, Christine Sun.